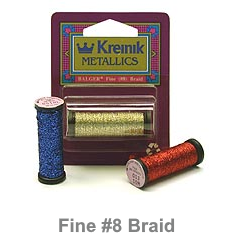 Kreinik Blending Filaments, Very Fine #4, Fine #8, Tapestry #12, Medum #16, Canvas #24 & Heavy #32 Braids, Cable, Cord, Facets, Ombre, 1/16in and 1/8in Ribbons. 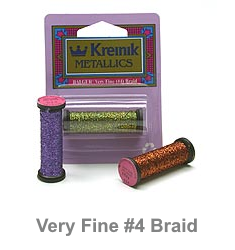 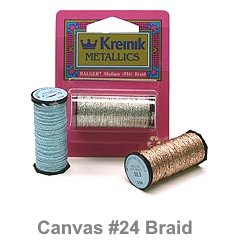 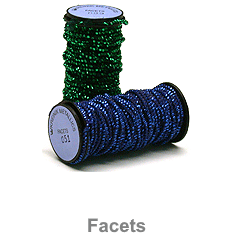 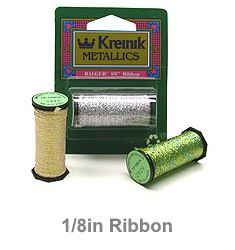 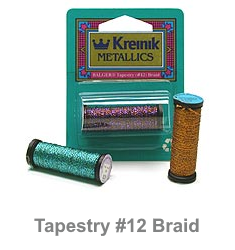 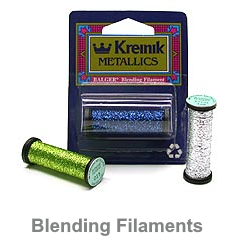 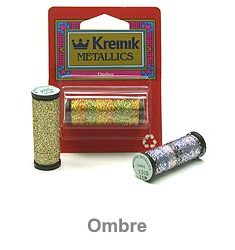 Use Kreinik metallic threads to embellish your cross stitch, embroidery, needlepoint anf tapestry projects. 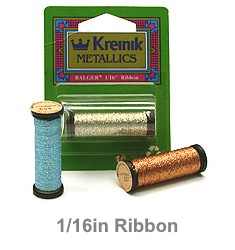 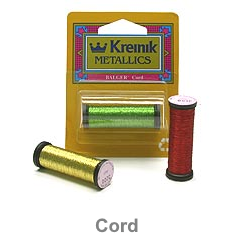 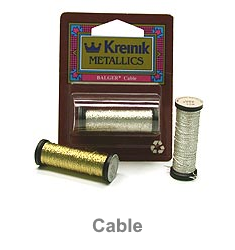 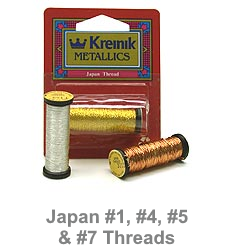 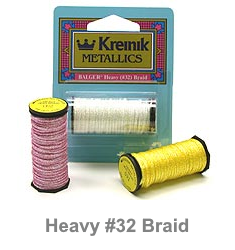 Kreinik metallic threads are also great for making flies for fly fishing!